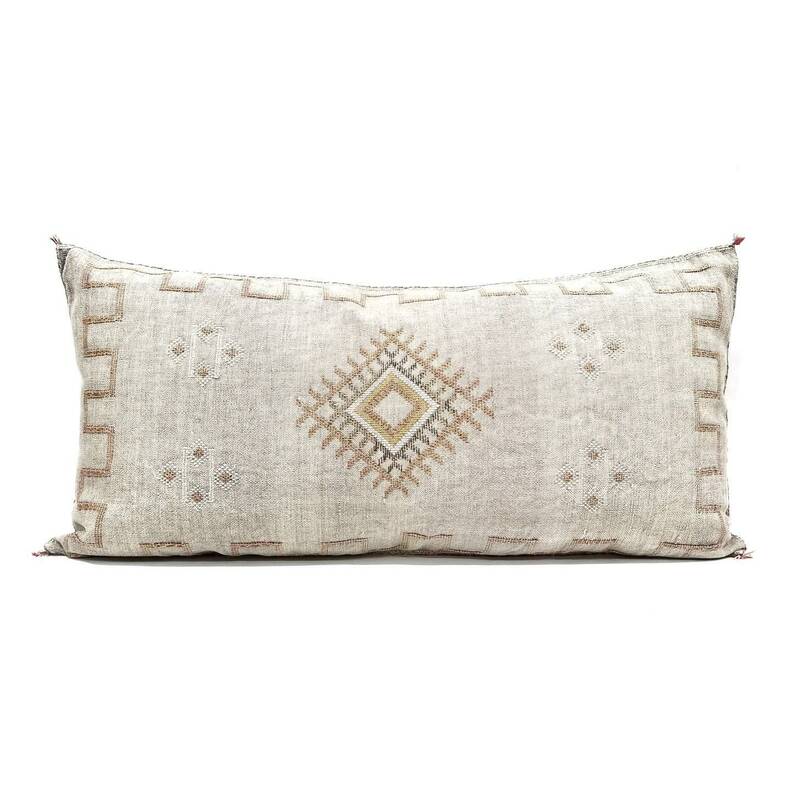 Giant king size Moroccan cactus silk sabra pillow cover with zipper closure. Fitted with a body pillow from target. *Actual measurement of the pillowcase may be smaller or bigger by 1"- 2". *Since this pillow is handmade, irregularity in size and embroidery pattern and color might be present. This is not considered defect and only adds character to each handmade pillows.